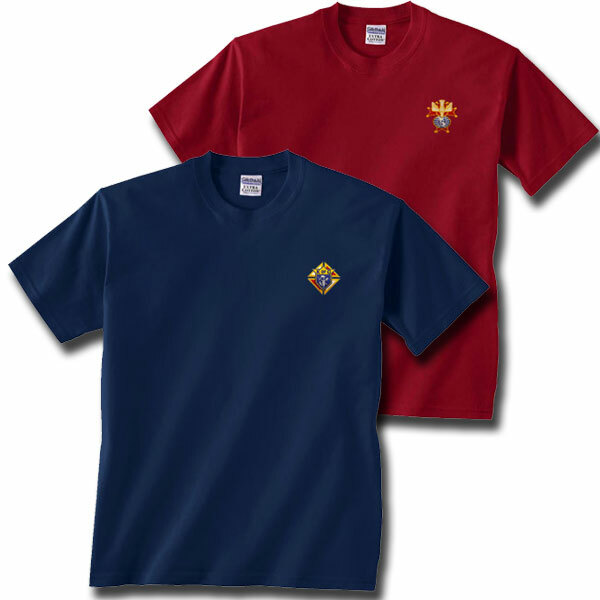 K of C T-Shirt made of 100% pre-shrunk cotton. Colors: Navy blue or Maroon. Embroidered in Emblem of the Order or 4th degree. Available Sizes: M, L, XL, for $14.00, 2XL, 3XL for $18.00.